Evolve your business with a simple, easy-to-use claims management software solution. Virtual Claims Adjuster is a web-based user-friendly claim management system designed to make managing claims easier, faster, better. Our intuitive and innovative software is constantly evolving to meet customer and industry needs. We provide you and your business with the technology to implement, adapt and scale quickly, improve operational efficiencies, and exceed your customers expectations. Start your business’ evolution today with a free demo. I can honestly say it's one of the BEST decisions we ever made. We have been using VCA since 2009 and have ALWAYS been very happy with the reliability, functionality, and fantastic support. VCA is an important part of our business and specifically designed for the insurance industry. It is easy to learn, intuitive to understand and would allow an office to go totally paperless. 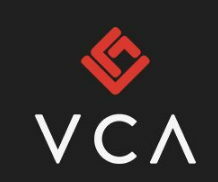 We chose VCA several years ago because of its flexibility to meet our clients varied, specific needs for communications, financials and reporting. VCA was able to craft to those needs without forgoing any of the larger, broad based out of the box features the product provides. In short, VCA gave us and by extension, our clients, the best of both worlds. The software is intuitive and delivers essential real time information to our clients when they need it. Concurrent with VCA’s technical acumen is the professional and courteous demeanor of its people. The staff responds to the smallest query and largest project with equal cordiality and professionalism. Our partnership with VCA has been critical to our providing first class service and results to our clients. The customer service is exceptional! We never felt as if we were on our own. VCA customer support and our personal rep are always there to assist whenever we did have a question but that was few and far between because the software is so easy to use.